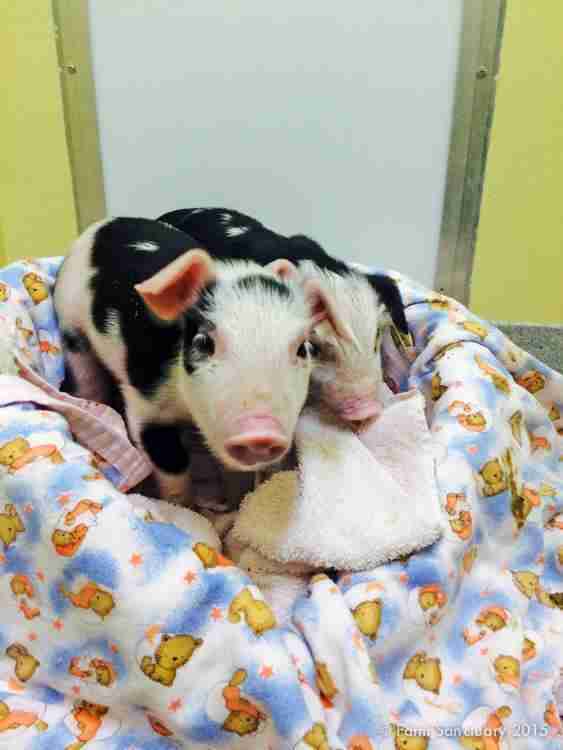 Gabby, Xena and Hercules are big names for such little pigs, but they've already been through so much. 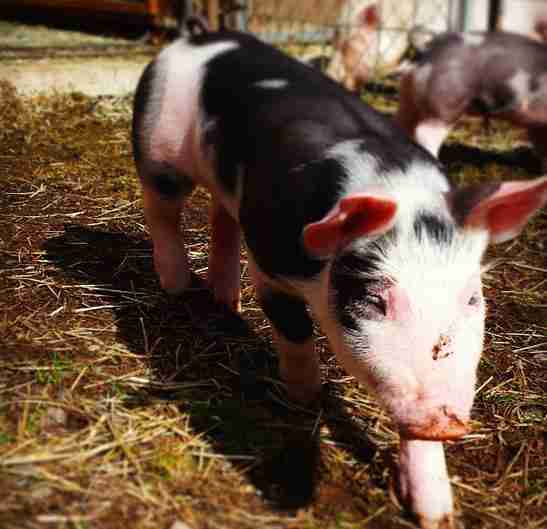 When their mother was no longer able to nurse her five hungry piglets on the California ranch where they were born, the rancher didn't care enough to find another way to feed them. The little pigs lost strength, and two of their siblings died. 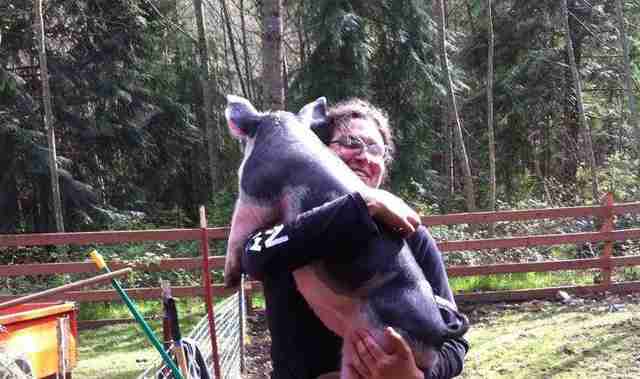 But then a Good Samaritan found out about the piglets and contacted Farm Sanctuary, who helped place the precious baby pigs at Pasado's Safe Haven in Washington State. 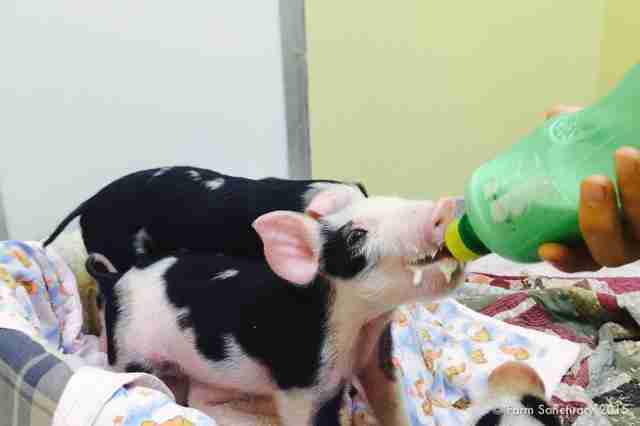 The little piglets slowly regained their strength after being left to starve. Now that the pigs are safe, their personalities are beginning to shine through. Gabby is the baby of the siblings, according to Pasado's Safe Haven. "She was the hardest to wean and demanded to be fed first when they were still being bottle fed," Dani Kice of Pasado's told The Dodo. "She let me pick her up and would snuggle until she was got too big. She is very friendly and snuggles up to people when they are hanging out in the yard." Where Gabby is snuggly, Xena is playful, jumping all over the barn. "She likes grabbing the water hose and running away with it," Kice said. Hercules is the largest of the group and the problem solver. "Obsessed with shoes," Hercules loves untying shoelaces, as well as pulling on buttons and zippers. "He flops when he is excited and loves rolling in fresh hay," Kice said. "When he is super happy he pinwheels around the yard before running right back." 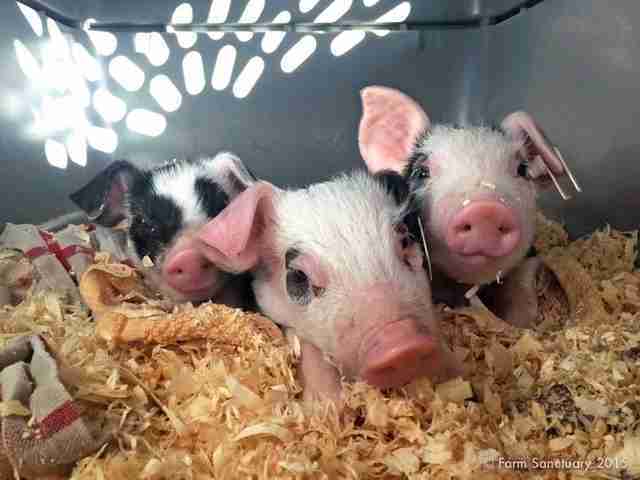 The sanctuary calls the piglets "warriors" for surviving their difficult past on the ranch. Gabby, Xena and Hercules really have come a long way. ... they're growing up so fast. 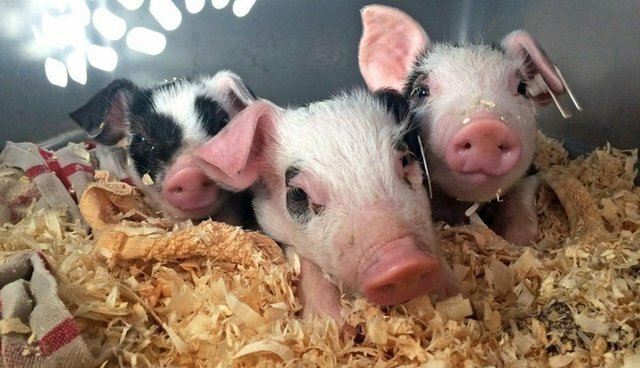 "We are so thrilled that these beautiful piglets were rescued and are able to live out their lives in sanctuary the way all pigs should live," Susie Coston, national shelter director of Farm Sanctuary, told The Dodo. 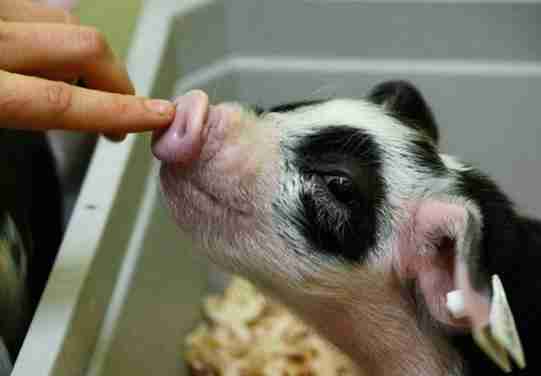 "Pigs are highly social and highly intelligent beings with very individual personalities that deserve to be seen. We could not be happier!" When one hundred million pigs are slaughtered for their meat each year, these sweet pigs are incredibly lucky to have the chance to live long happy lives. 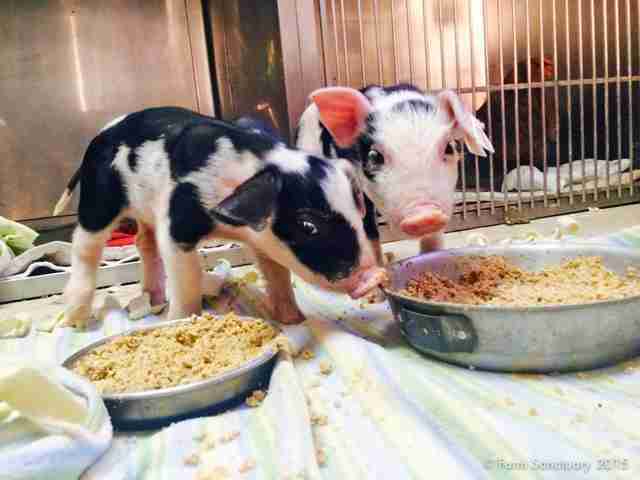 Read more about these piglet warriors here and learn more about Pasado's Safe Haven here.